Kompal Sinha is Senior Lecturer in the Department of Economics at Macquarie University, Sydney. She is interested in investigating effects of consumer behaviour in the context of health economics and development economics. Her research focusses on a range of developed and developing countries including Australia, United Kingdom, India, China, Indonesia, Vietnam and Botswana, to address issues relating to subjective well-being; health related quality of life; measurement of multidimensional deprivation; intra-household dynamics in household decision-making; effect of health related knowledge and awareness on behaviour in the context of HIV/AIDS; determinants of health in retirement; effect of minimum unit price of alcohol; national and sub-national purchasing power parities (PPPs); health and nutrition insecurity; malnutrition and child health. 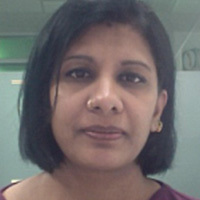 Her research has been published in highly ranked journals in economics including Health Economics, Journal of Economic Behaviour and Organisation, American Journal for Agricultural Economics, Social Science and Medicine, Macroeconomic Dynamics, Review of Income and Wealth, Journal of Biosocial Sciences, Value in Health, British Medical Bulletin among others. Kompal has previously worked at Monash University, Melbourne. She received her Ph.D. in economics from The Australian National University, Canberra, Australia and M.Phil. from Indira Gandhi Institute for Development Research (IGIDR), Mumbai.